Viaje de ida y vuelta de la ciudad portuaria toscana de Livorno a Pisa por un módico precio, sin ninguna complicación. La recogida se realiza en un punto central de la Via Cogorano y el viaje hasta Pisa se realiza en autocar con conexión Wi-Fi y con aire acondicionado. Tendrá aproximadamente 2,5 horas para explorar la ciudad con la famosa torre inclinada antes de volver a Livorno. La longitud de esta excursión la hace adecuada para pasajeros de cruceros. Overrall the visit to Pisa wasn’t bad. I would’ve liked to also visit Florence since this is quick and small attraction. Easy transfer to Livorno. Be aware that it is still quite a walk in the heat to get from the bus park to the tower and back. Excellent service, cheap, punctual and hassle free shuttle transfer from Livorno centre to Pisa. Highly recommended for 1 day shore excursions. It doesn’t say anywhere that you have a 20-25 minute walk AFTER they drop you off so we were late getting to our tour. Then there’s so much to see you don’t have time. I would have stayed and paid for visiting the cemetery and baptistery. Cruise ship shuttle took us directly to where the coach to Pisa goes from, so that was great. There were staff there to make sure we got on the right coach. Once in Pisa it was about a 10 minute walk to reach Pisa all on flat ground. Fascinating to see the Tower for real! Wifi wasn't working on the coach, but they said they were trying to get that issue fixed. Before we left I checked out where we were getting the coach to and from on google street view - so I felt more confident. This is the perfect little tour for those who are at the port of Livorno and have already toured Florence. 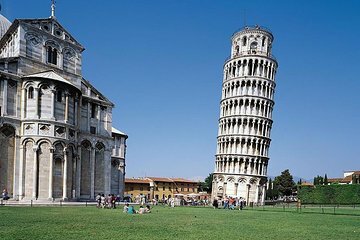 It is a true bargain as you are transported via motor coach to and from the town of Pisa. If you wish to gain free entry to the interior of the cathedral go directly to the ticket office clearly marked as the free tickets as issued for assigned times. After the trip you will have plenty of time to explore Livorno before returning to your ship. don't miss this. amazing place to visit. transfer was waiting for us. Make sure you know that you have to buy shuttle service to Livorno city center once you get off the ship. 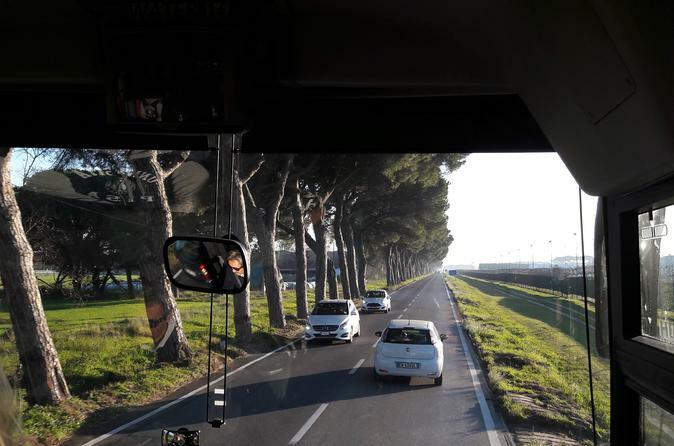 Then you have to find the bus to Pisa. There's no signs to follow. This was basically just a mode of transportation between the city center and Pisa. Worked well, you just have to remember you are given a specific time to return which is clearly pointed out from the outset.